Previously known as the Cape Peninsula National Park, the Table Mountain National Park is situated on the Cape Peninsula at the south-western tip of the African continent in the Western province of South Africa. 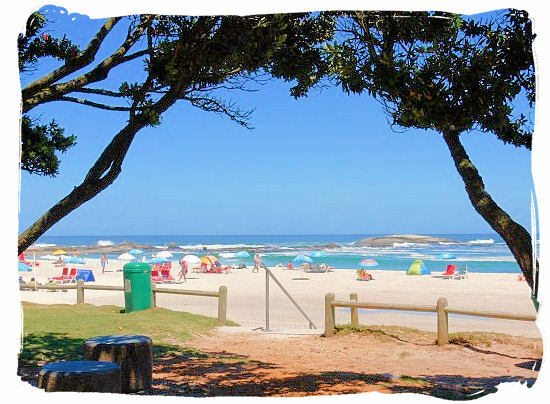 The Cape Peninsula is a narrow stretch of land, that has the form of a finger when you look it up on a map, with beautiful mountains, valleys, forests and sun-drenched bays and beaches. Consisting of four separate sections, the Park stretches from Signal Hill in Cape Town, right down to the Cape of Good Hope and Cape Point in the south, a distance of about 60 kilometres. The park contains two world renown landmarks, the majestic Table Mountain accompanied by its seconds Signal Hill, Lions Head, Devils Peak and the Twelve Apostles and Cape Point with the legendary Cape of Good Hope. The eastern side of the Peninsula faces the cold Atlantic Ocean, whereas the eastern False Bay side is warmed by the Agulhas Current. 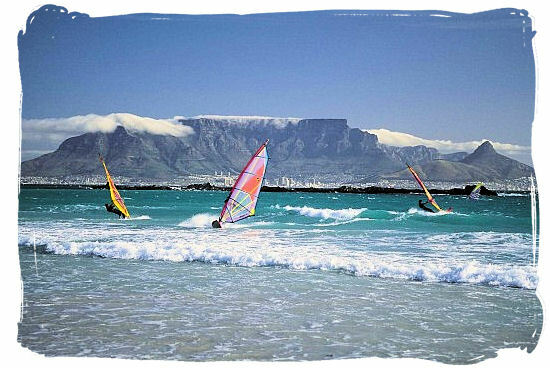 Table Mountain National Park is one of the 20 national parks that fall under the South African National Parks body. Other lesser known features include beautiful mountains, spectacular beaches, indigenous forests, the unique in the world Cape Floral Kingdom and stunning scenery to name but a few. And all this right on Cape Town’s doorstep. 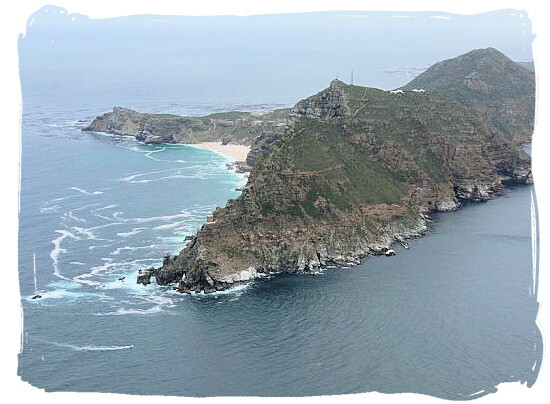 The Cape Peninsula is of great historical significance to South Africa, with important South African history landmarks ranging from the Stone Age to modern times such as the Apartheid era. These include the early evidence of the strong presence of the San and the Khoikhoi people, the first Portuguese explorers rounding the Cape of Good Hope, the settlement of the first Europeans and the walk to freedom by Nelson Mandela from the Robben Island prison. 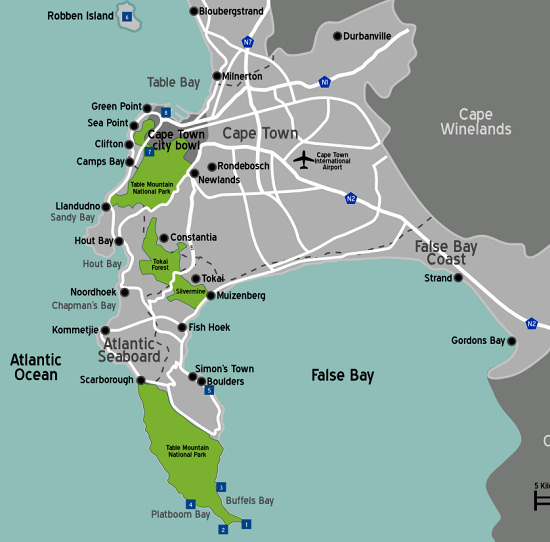 Apart from some areas of indigenous Afromontane forest and a few remaining wetlands mainly around Kommetjie and Noordhoek, the main vegetation of the Table Mountain National Park is the Cape Fynbos, part of the world renown rich and unique Cape Floral Kingdom. "Fynbos" is the name in "Afrikaans" (meaning "delicate bush") that was given to the scrubby vegetation which is unique to the Cape and can be found in abundance on the mountain slopes. It is said that Fynbos is an ancient type of vegetation, with some species such as the Restios dating back to prehistoric times. 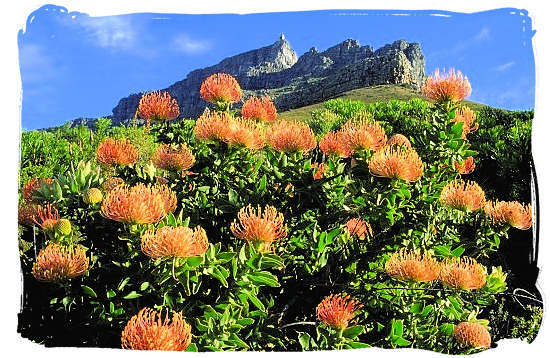 As one of the eight World Heritage sites in South Africa, the Park is home to the Cape Floral Kingdom which is considered one of only six floral kingdoms worldwide. Scientists regard its extraordinary bio-diversity as a botanical phenomenon. Fynbos comprises four major vegetation types, Proteas (sizeable shrubs with wide leaves), Erica’s (heath-like, shrubs growing at low level), Restios, (reed-like plants) and Geophytes, (bulbs such as Watsonias and Disa’s). 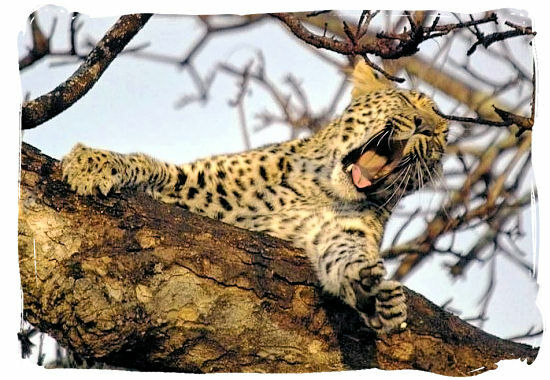 Large predators such as the Cape Lion and Leopard as well as the Spotted Hyena and Black-backed Jackal that used to roam the Cape Peninsula region and beyond in times gone by, have disappeared at the hands of the European settlers. It is believed that the last lion in this region was shot around 1802, while Leopards continued to live on the Cape mountains until maybe the 1920s, after that they were never seen again. The same thing happened with the large herbivores like the African Elephant, Black Rhino, Kudu, Eland, Bontebok and Mountain Zebra although the last three species were re-introduced to the southern region of the Park. 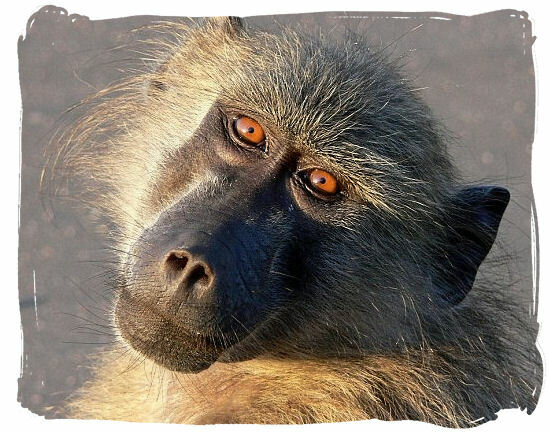 Other smaller mammals to be found in the park are the Chacma Baboons, the Dassie or Rock Hyrax, the Caracal, and a number of small antelope species, such as the Cape Grysbok and particularly the Klipspringer which was re-introduced only recently. 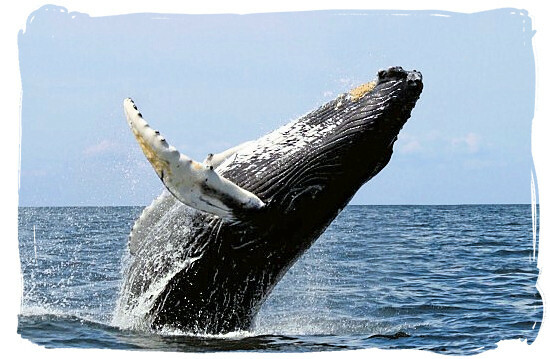 There are two large mammal species that are doing very well around the Cape Peninsula, namely the Whale and the Dolphin. The Southern Right and Humpback Whales are certainly the star attractions, visiting the Peninsula coastline every year between August and October, entertaining lots of spectators as they come near to the shore to mate and calve. Almost as popular are the beautiful and inquisitive Dolphins which usually are found around the Peninsula. Frequently sighted types are the Bottlenose Dolphin, the Common Dolphin and the Dusky Dolphin. 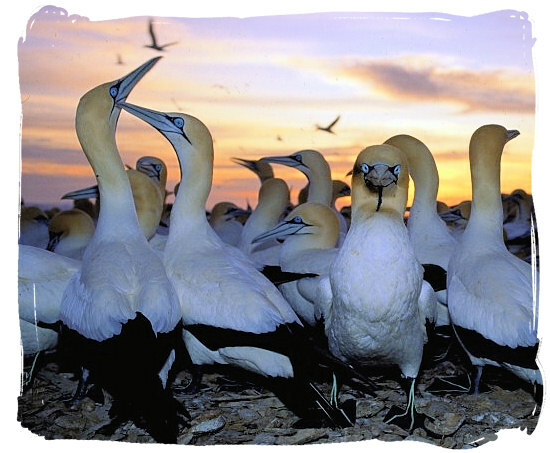 When compared to the bird rich northern and eastern parts of South Africa, the range of bird species in the Cape Peninsula is quite possibly not as impressive, yet the Table Mountain National Park's growing bird register is substantial, with quite a few endemic species. One will find quite a variety of indigenous bird species like the Cape Sugarbird, the (Grey-backed Cisticola Cisticola subruficapilla), the Karoo Prinia (Prinia maculosa) among others to look out for. 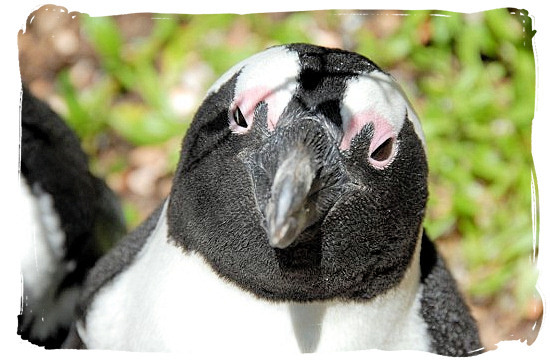 But some of the park’s most famous birds are definitely the Jackass Penguins at Boulders Beach. Then there are the Birds of Prey to look out for such as the Verreaux's (Black) Eagle, Jackal and Steppe buzzards, Rock Kestrel and Peregrine Falcon. And do not forget the Seabirds like the Cape Gannet, Black-browed Albatross, Sooty Shearwater and the White-chinned and Giant Petrels.